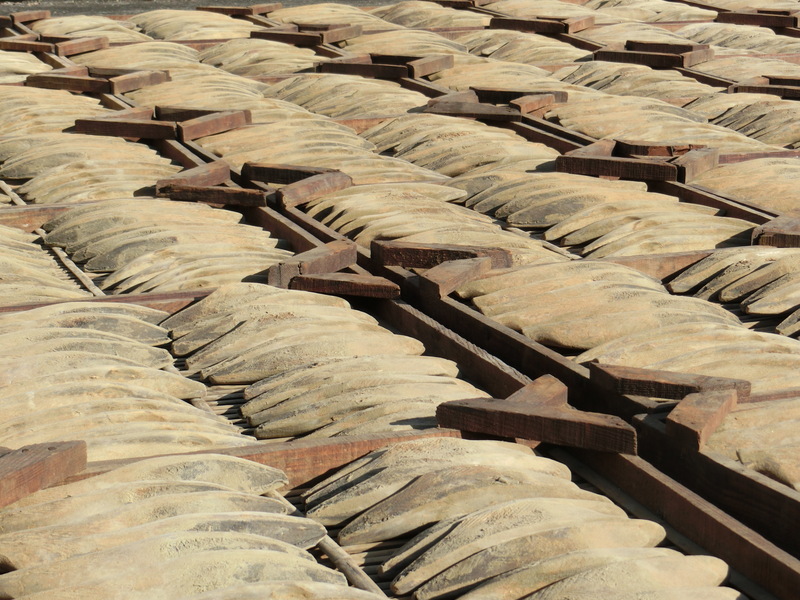 Katsuobushi is one of the most important basic ingredients to enhance umami of Japanese cuisines. We visited a Katsuobushi craftsman family located at Makurazaki in Kagoshima prefecture, where traditional hand-made processes are inherited. 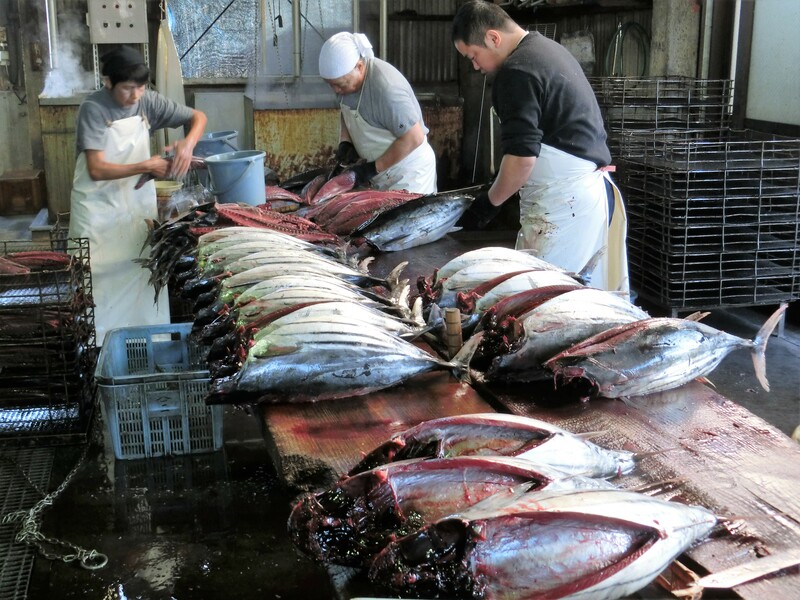 In recent years, bonito serving as a raw material for Katsuobushi is mostly frozen one caught by netting fishing in the South Sea. However, they stick to Ippon-dzuri (single-pole fishing) in the near waters. There are scientific reasons behind. In the netting fishing, the captured bonito rampages in the net. As a result, the energy substance ATP in the body that turns into umami ingredients after death is consumed and reduced. On the other hand, lactic acid is generated, and sourness increases. The authentic style Katsuobushi is made through an extremely time-consuming process that involves 1) defrosting of Ippon-dzuri bonito, 2) cutting and shaping by 3 different knives, 3) boiling it in a large pot for two hours, 4) removing the bones, 5) inserting minced fish paste into the gaps where the bones used to be, 6) drying by smoking, 7) homogenizing moisture, 8) slicing the surface, 9) drying it in the sun, and 10) applying mold to help preserve the fish. The Katsuobushi finally arrives in the hands of consumers after a thoughtful preparation process taking 6 months. It can be convinced that long-established Japanese restaurants in Tokyo and Osaka are waiting for this work of art.